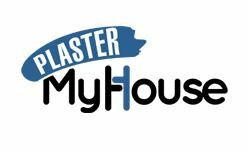 Plaster My House Ltd - Plasterer based in Mansfield, Nottinghamshire. Reliable, friendly and clean service at reasonable rates. A high quality finish is guaranteed. My name is Magnus; I am a time served plasterer with 15 years’ experience. I set up Plaster My House Ltd up in 2013 to serve primarily the Mansfield, Chesterfield and Sheffield areas. Venetian Plaster and Micro cement. Please feel free to give me a call anytime to arrange a free quote or for some advice on your project. For reviews and pictures of my work please see my Facebook page. Mansfield, Ravenshead., Sutton in Ashfield, Kirkby in Ashfield, Chesterfield, Sheffield, , Nottingham.